From the Hancock County Courthouse, drive 0.7 miles west, following Hwy 22 and Hwy 16 to Ghettis Street. Turn right on Ghettis. Go past Holsey Memorial Church on your left and continue to the graves on the left side of the street. 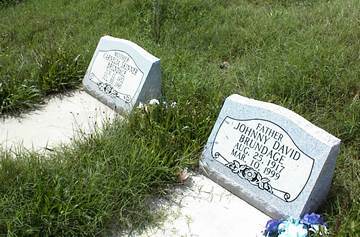 The graves are 0.1 mile from the Hwy 16-Ghettis Street intersection.